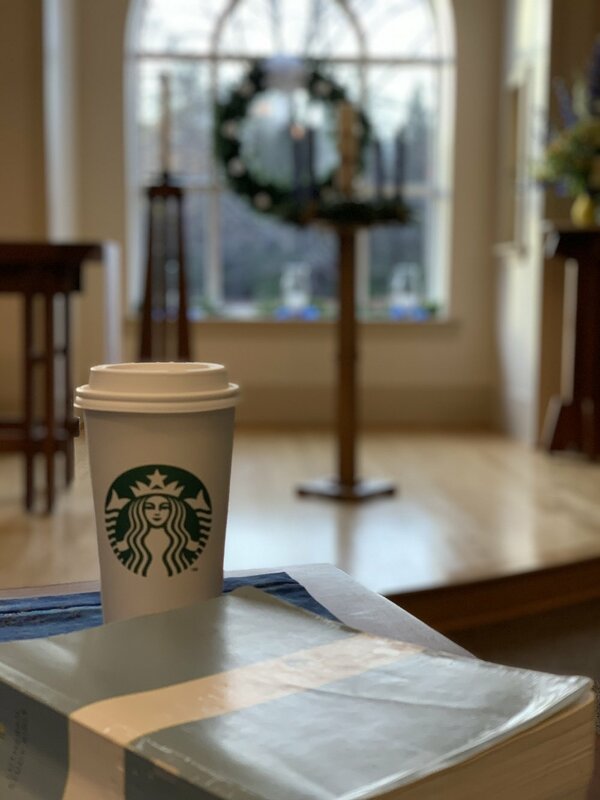 Early this past Monday morning, before anyone else was in the building, I took my latte into the sanctuary, lit the first candle on the advent wreath and began reading the gospel of Luke. Reading through the familiar story of my favorite gospel once again, I found myself drawn into the story with eager anticipation. It is a reminder that Christ’s birth doesn’t come at the end of the story. As I keep preaching, “God isn’t done with us or our world.” Reading through Luke’s gospel in preparation for Christmas reminds me of that truth. In the midst of this busy time of year, I invite you to join me in the Advent discipline of preparing for Christ’s birth by reading through the entire Gospel of Luke between now and Christmas morning. At 24 chapters, it makes for an easy one-chapter-a-day kind of a read. If you’re starting now, there is plenty of time to catch up in the one-a-day reading. You can also just take an hour sometime and sit down and read the whole thing from beginning to end. If you would like to bring your latte over, you can light the advent wreath and read in our beautiful sanctuary. (You’ll find a candle lighter tucked inside of the pulpit. Just be sure to blow the candle out when you are done, please.) It doesn’t matter where, how or when you do it, just make a commitment to do so sometime between now and Christmas morning. As people of faith, this is a time of actively waiting, watching and preparing for Christ to come again. Reading through the Gospel of Luke is one way to engage in it this Advent season. See what surprises you as you read through the gospel story. Listen to what God is speaking into your life right now. Saturday, December 1 at 6:00 p.m. The service will feature a Jazz Combo led by Craig Fraedrich, a Christmas market by Fair Trade Winds and a dessert reception in the narthex. See the event page for more details. Wednesday, December 5 at 7:00 p.m.
We invite you to gather with us for a time of quiet reflection and stillness with God and each other. We realize that not everyone is filled with "holiday cheer" this time of year. Illness, death, the loss of a job, a change in family traditions and lots of other things can leave us struggling. This service recognizes what can be hard about the holidays and offers the opportunity for healing and hope. The service will be about 45 minutes and will include Holy Communion. Childcare will be provided in our professionally staffed nursery. Saturday, December 15 at 6:00 p.m. The tradition of choral evensong dates back to the time of the Reformation. This service will feature chants based on the tune of "O Come, O Come, Emmanuel" and music by the Abiding Presence Adult Choir and Handbell ensembles. Sunday, December 16 at 8:45 a.m. The children and youth of Abiding Presence's music ensembles will bring the Christmas story to life through drama and song. All are welcome at this special worship service that includes the singing of Christmas carols, the Christmas drama and Holy Communion. See the event page for more details. Saturday, December 22 at 6:00 p.m.
An original cantata inspired by the ancient Orthodox hymn of the same name featuring guest soloists with members of the Abiding Presence Chamber Orchestra. Sunday, Dec. 23 at 10:00 a.m.